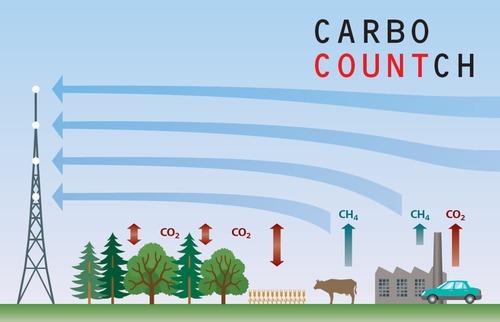 CarboCount-CH is a project investigating human-related emissions and natural exchange between the atmosphere and the biosphere of the two most important long-lived greenhouse gases carbon dioxide (CO2) and methane (CH4). 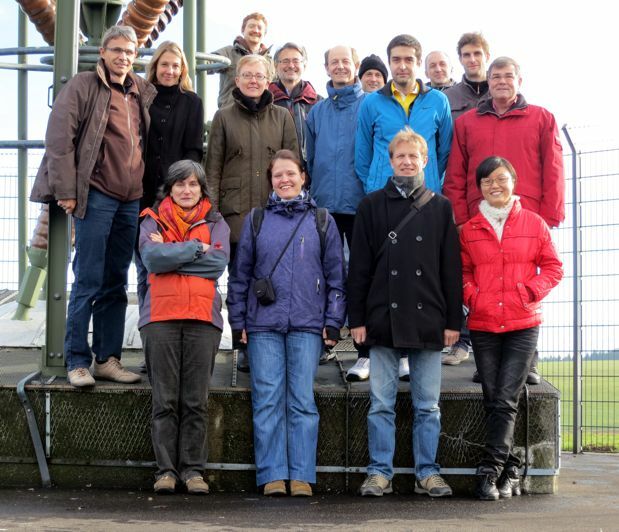 The study area is Europe and specifically Switzerland where a network of four new sites for measuring atmospheric concentrations of CO2 and CH4 has been established. The measurements are combined with atmospheric transport and inverse modelling in order to quantify the fluxes of CO2 and CH4 and better understand their response to weather and climate variations. 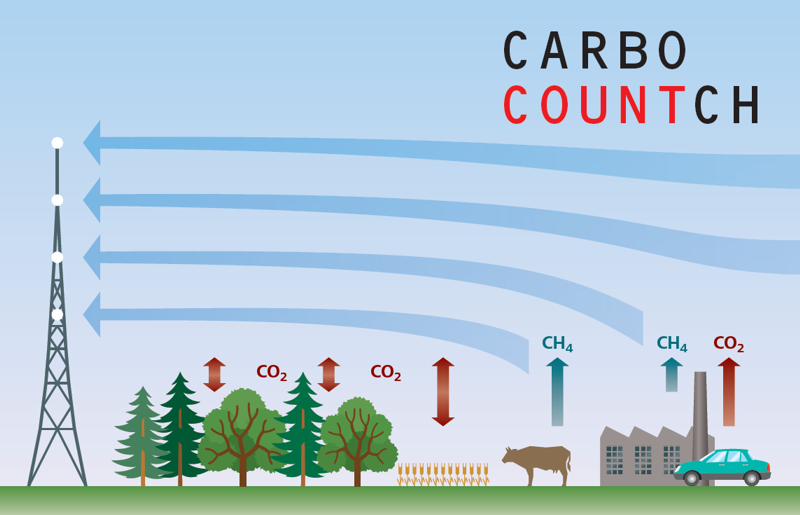 CarboCount-CH is a collaborative project of 6 partners from Empa, ETH Zurich, the University of Bern, and the Centre for Climate Systems Modeling C2SM funded by the Swiss National Science Foundation (SNF). The first CarboCount-CH project ended in 2015, but the measurements at three of the sites are continuing in the framework of other projects and through internal funding of the partners.